Sta-Rite 25230-0095S is a Sta-Rite original part. 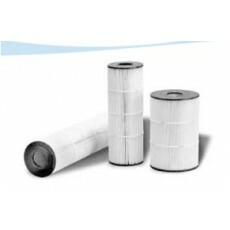 Can also use Unicel universal replacement filter part number C-8409. Sta-Rite PXC series filters are ideal for both in ground pools and in ground spas. These filters have a compact design, with only a 12 inch footprint. Easy access posi-ring makes maintenance a breeze. 2 inch ports increase hydraulic performance. Available in four sizes from 75 square feet to 150 square feet of total filtration surface area.